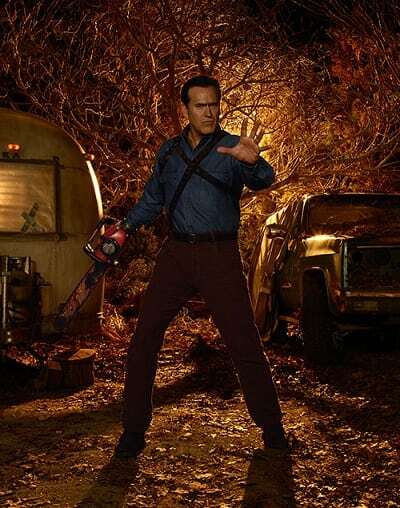 A brand new images has been released from the highly anticipated TV series, Ash vs Evil Dead. 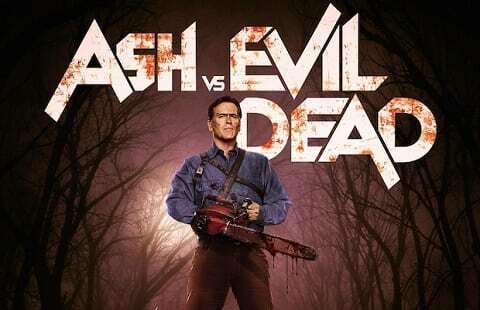 The image once again focuses on Bruce Campbell as our hero Ash, and he looks very calm and very cool in a heroic pose, and he looks like he wants to tell us something! 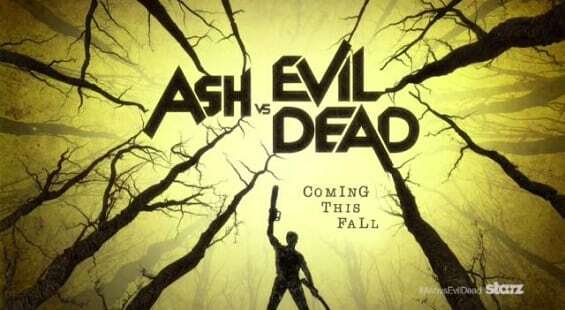 “Ash vs Evil Dead” premieres Saturday, October 31st, at 9:00pm ET/PT exclusively on STARZ with a 10-episode season. Campbell reprises his role as Ash, the stock boy, aging lothario, and chainsaw-handed monster hunter who has spent the last 30 years avoiding responsibility, maturity, and the terrors of the Evil Dead. When a Deadite plague threatens to destroy all of mankind, Ash is finally forced to face his demons – personal and literal. Destiny, it turns out, has no plans to release the unlikely hero from its “Evil” grip. The cast is led by Bruce Campbell (Evil Dead, “Burn Notice”) in the role of Ash Williams; Lucy Lawless (“Salem,” “Spartacus,” “Xena”) as Ruby, a mysterious figure who believes Ash is the cause of the Evil outbreaks; Ray Santiago (“Touch,” Meet the Fockers) as Pablo Simon Bolivar, an idealistic immigrant who becomes Ash’s loyal sidekick; Dana DeLorenzo (A Very Harold & Kumar 3D Christmas) as Kelly Maxwell, a moody wild child trying to outrun her past; and Jill Marie Jones (“Sleepy Hollow”) as Amanda Fisher, a disgraced Michigan State Trooper set to find our anti-hero Ash and prove his responsibility in the grisly murder of her partner.